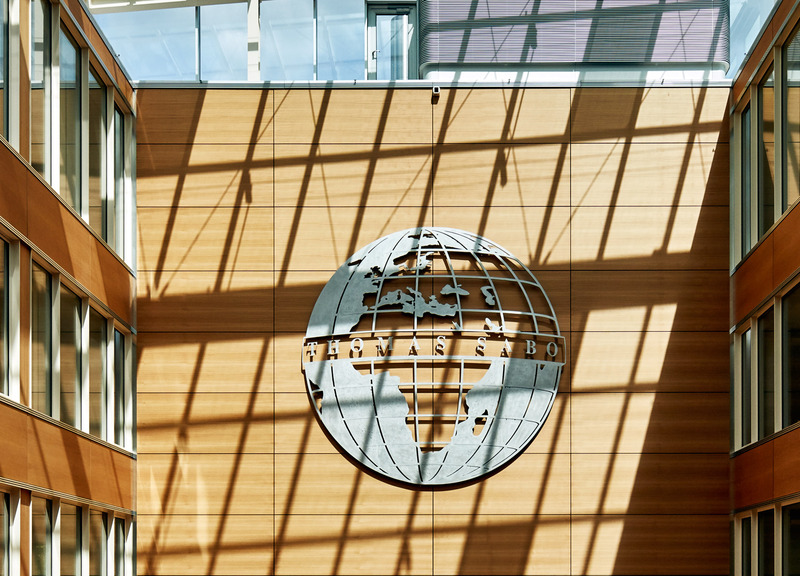 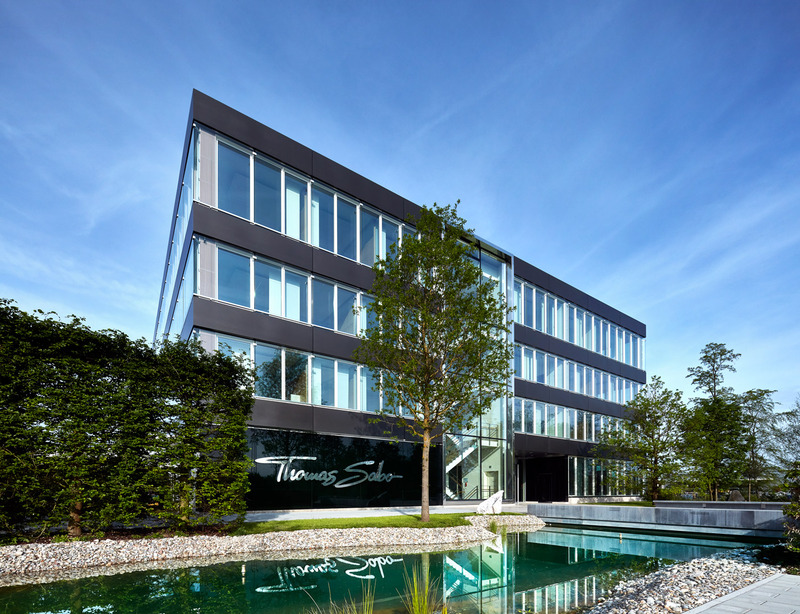 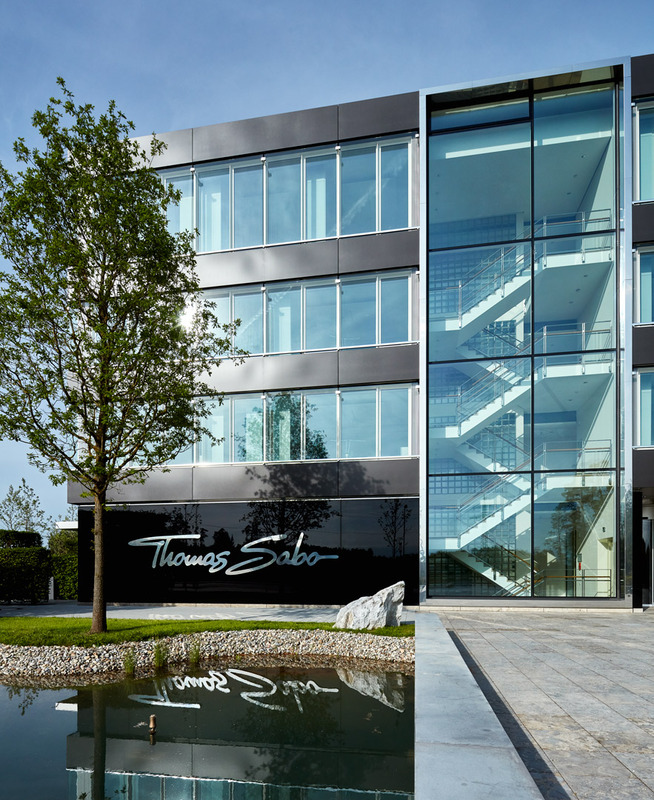 "Just under 500 employees from several different sites moved into the new head office of the international jewellery concern THOMAS SABO in the spring of 2016. 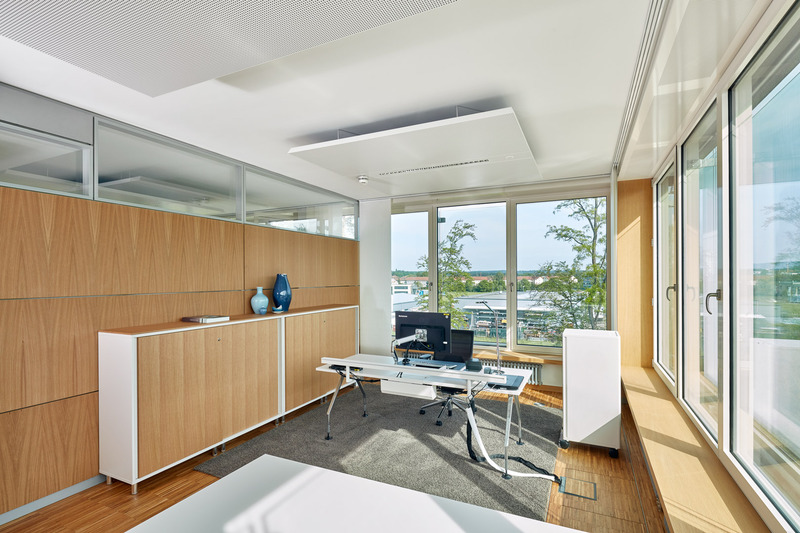 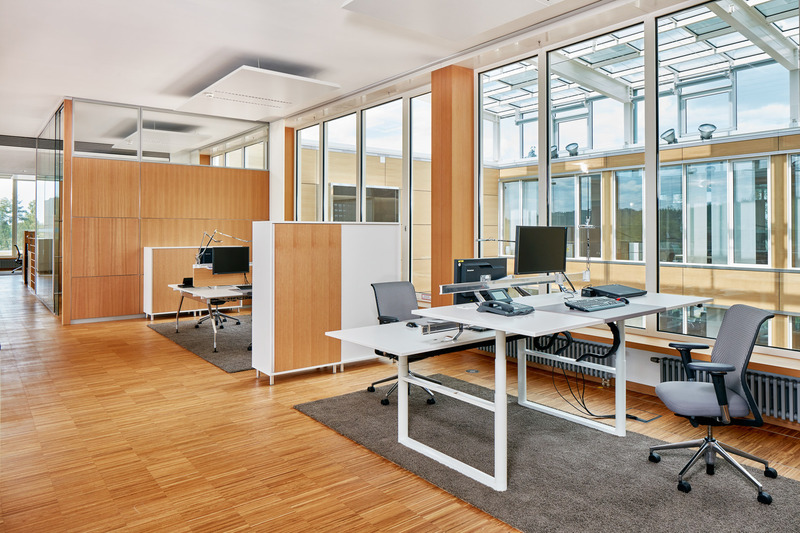 This functional, simple office environment is structured around work processes and communication paths but still exudes friendly comfort thanks to the use of numerous wooden elements and rugs. 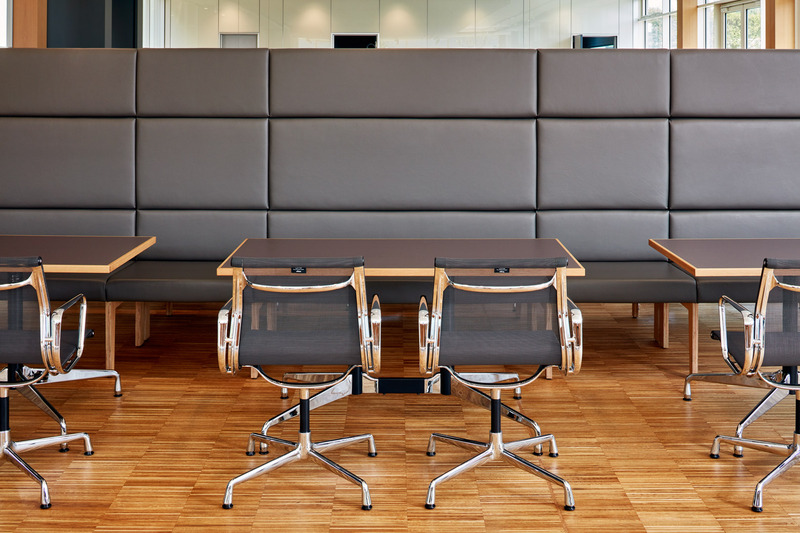 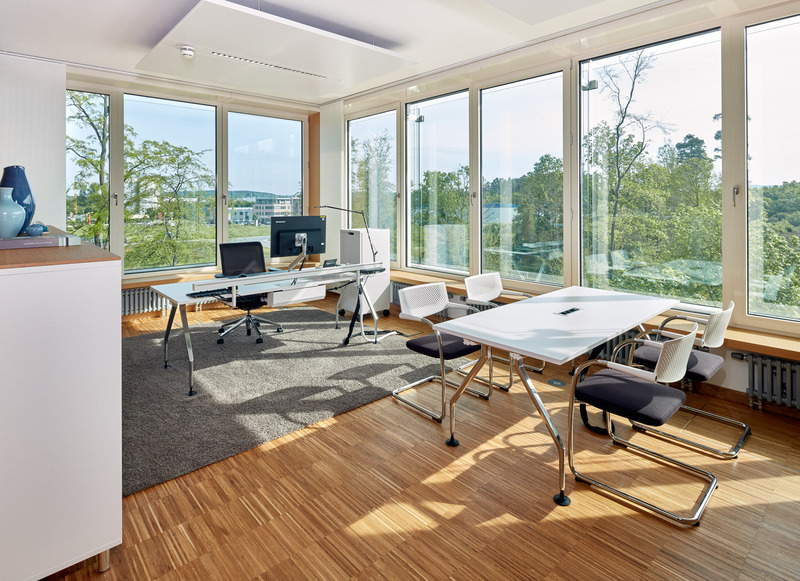 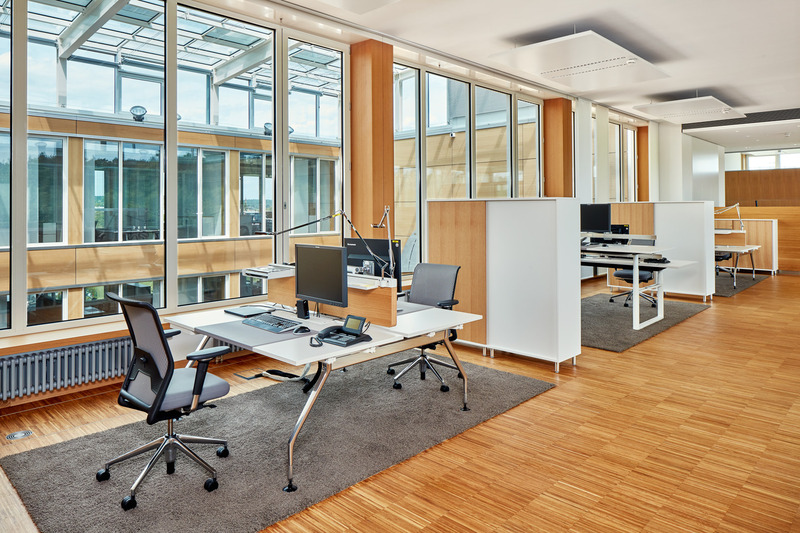 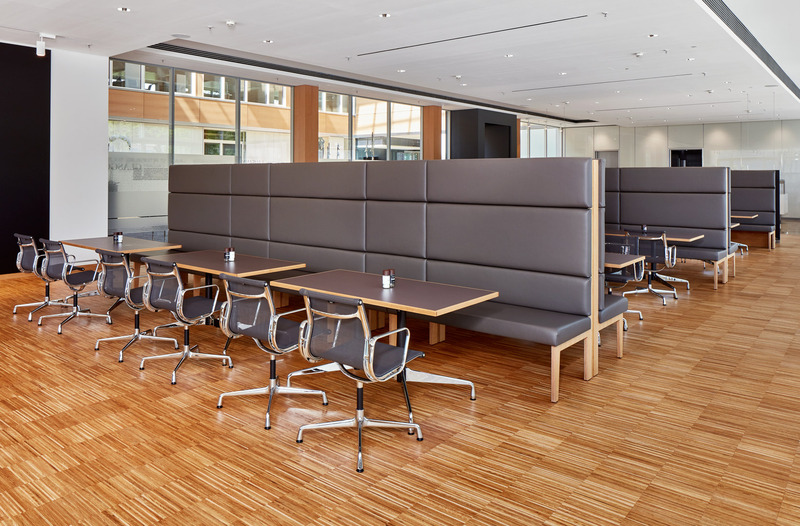 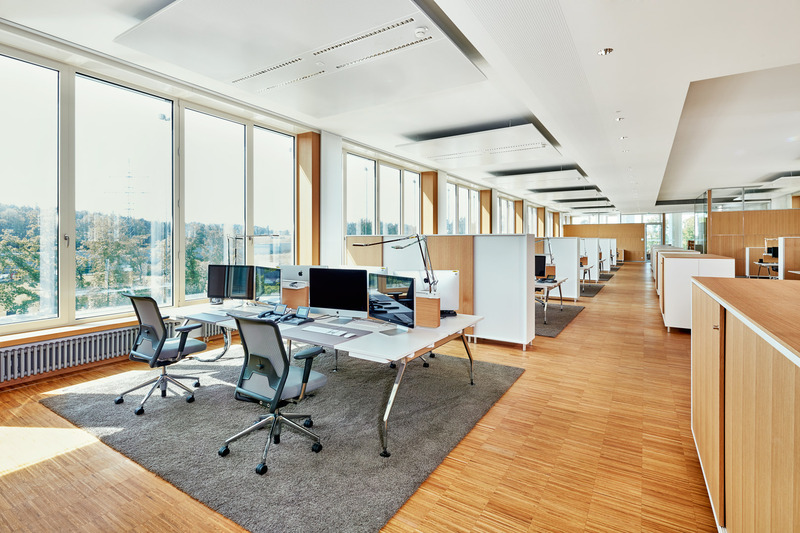 As excellent seating comfort is a must for workstations, they have been equipped with Vitra's ID Chairs, whose positive impact on user health has been demonstrated in a study by ETH Zurich. 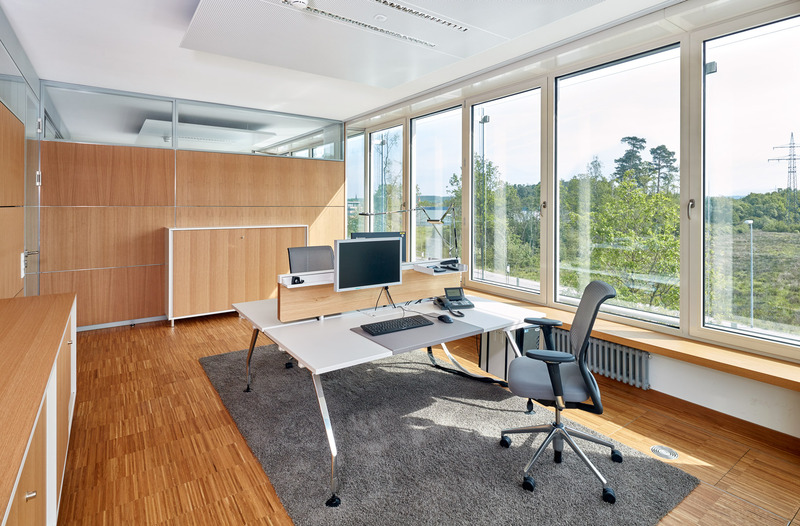 Vitra also developed special oak screens for the work desks.